Street art mixes with urban music vibes in Studio DBD’s branding for music ticketing service platform Skiddle’s new campaign. Background: I was asked by my client Skiddle to create an impactful and iconic design to launch its new campaign Skiddle Spotlight. The new initiative is taking place across four cities in the United Kingdom this year, starting in Bristol. Skiddle will be visiting the various cities over the course of a few days and putting on pop-up gigs, music events and loads of other music related activities. 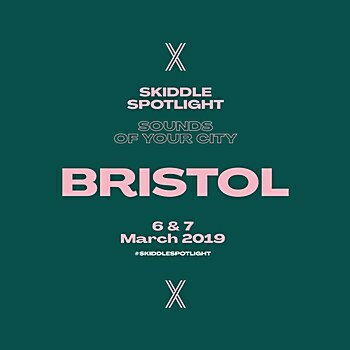 The aim is to engage the people of Bristol and inform them further who Skiddle is. 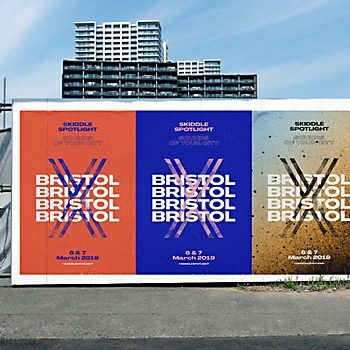 Reasoning: I wanted to create something interesting that would appeal to the street arty and urban vibe of Bristol. 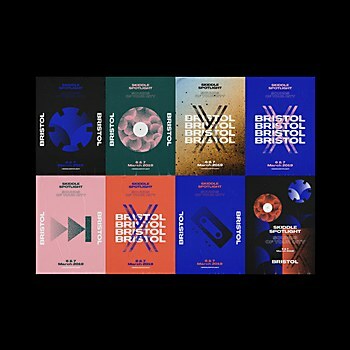 Though we’ve only done Bristol so far, each city will have its own unique look and feel. I also thought it would be cool to use some old music references, such as the 12” LPs and cassette tapes. In essence, I had no imagery, so, I needed to create the whole campaign from scratch. 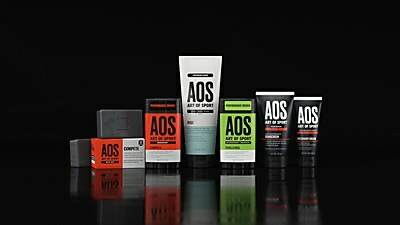 Challenges: Creating work in a short space of time, as often things are needed with quick turnarounds. I also needed to consider the print and digital side of things, so I had to make sure that all the designs could work across a variety of media. Favorite details: I like the contemporary look and feel of the work. 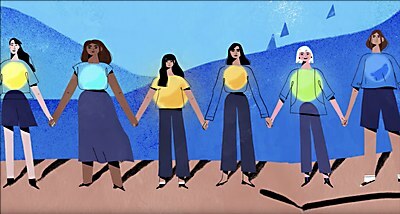 I often enjoy creating design with color, type and basic illustrations. I deliberately wanted it to be quite ambiguous, as we wanted to push people to the hash tags and let people find out about it, via Skiddle’s social media platforms. 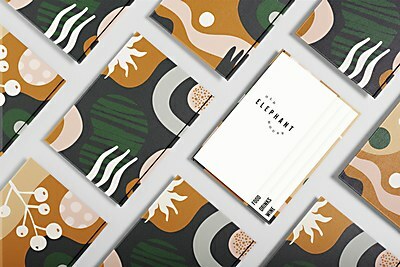 Visual influences: Music related graphics that have a very urban and modern look and feel. 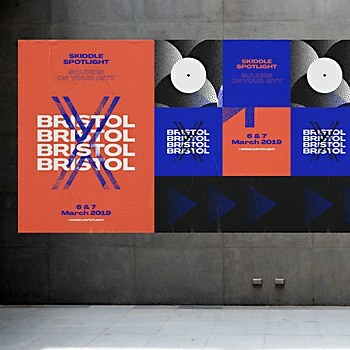 I wanted the posters to look like they were maybe celebrating the launch of a new album or club night. Specific demands: I have been working with Skiddle for a number of years. So, there’s a trust there already. I created the new branding for Skiddle a few years back. Even though Skiddle said it didn’t need to massively reflect the existing brand identity, I wanted to use the logo mark in some way. I took the existing S and recreated a letter X to mark the destination aspect of Skiddle Spotlights.